Celebrate happy new beginnings! 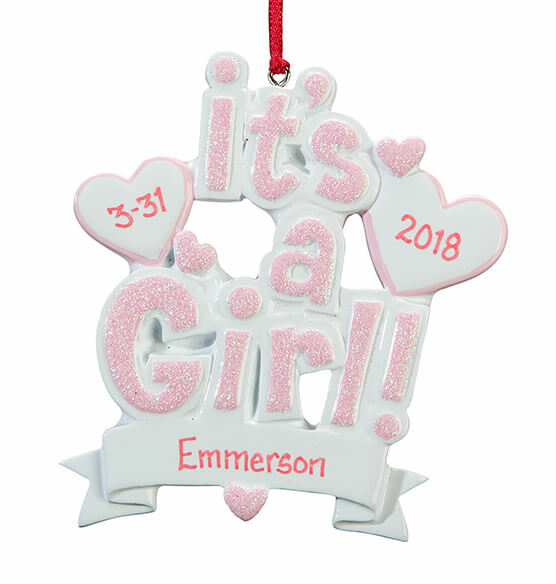 Pretty Personalized It's a Girl Ornament announces "It's a Girl!". Features baby's name, birth date and year. 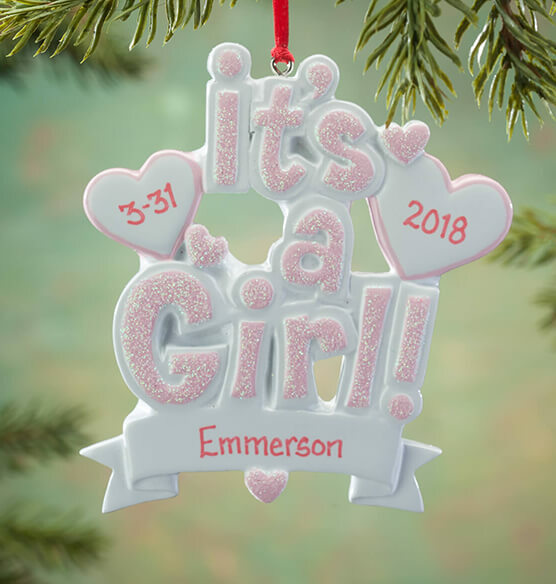 You provide the details; we'll create a custom ornament gift to be cherished. Specify name and birth month, date and year. Specify name; 1 line, 12 letters/spaces. Specify Day/Month; 5 characters/spaces. Specify year; 4 characters/spaces. This is the only one I could find which has date, year, and name.